Keep your planters looking and functioning perfectly every year with the Gardman Coco Liner Bulk Roll. 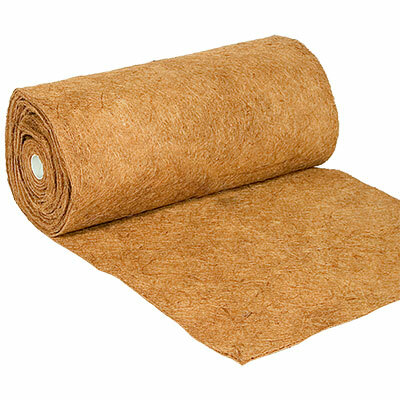 This roll of coco fibers allows you to refresh the liners in your planter baskets or troughs as needed. Simply cut the size needed from this roll, and shape it to fit in your planter. Add new soil and plants to your planter, extending its lifespan and offering a healthy bed for the soil. This liner is designed to be resistant to rot, and will help retain moisture in the soil. Extend the life of your planters using this Coco Liner Bulk Roll.